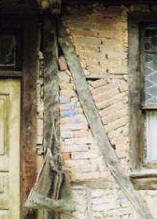 CONFERENCE ON "Traditional construction in Earthquake Areas," Istanbul, Nov. 2000.
was aired first on January 27, 2016. 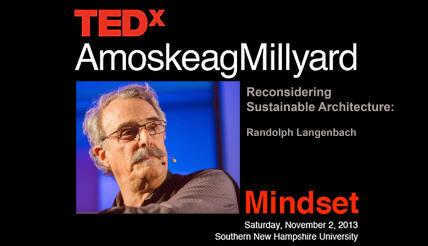 Randolph Langenbach appears in the last 10 minutes of the film. 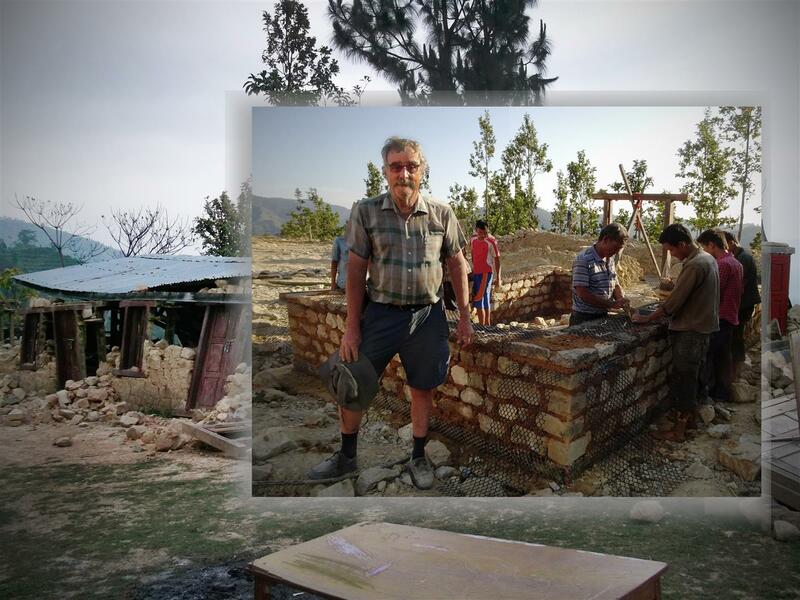 Also find on that page a several movies and videos of lectures in Nepal and in Arizona about Gabion Bands, a new technology intended to make rubble stone with mud mortar construction earthquake safe! 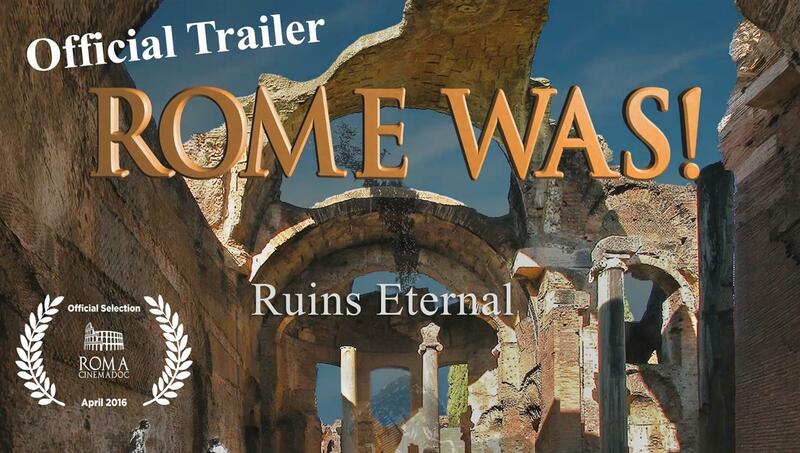 This is a 30 minute movie made from a series of still photographs of the same views that Piranesi, and other artists, documented in the 18th century. 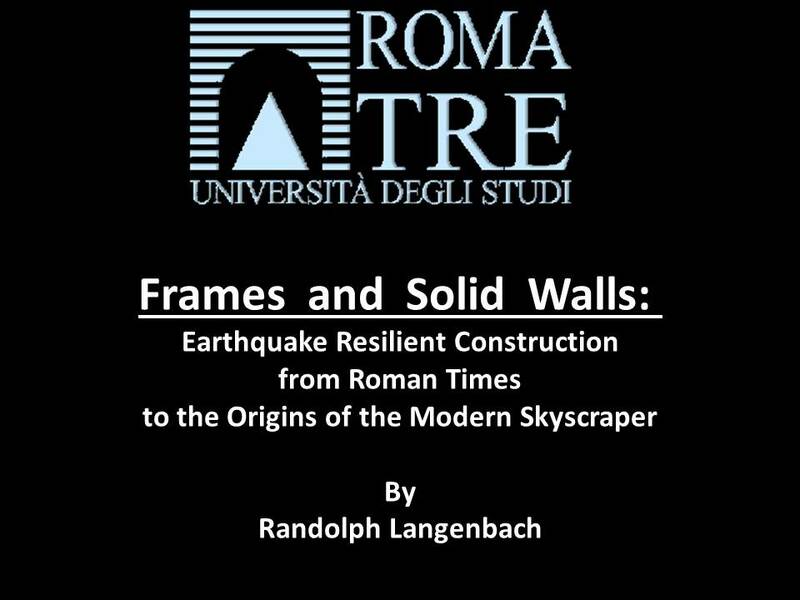 This is an hour-long lecture at ROMA TRE University in Rome on 26 March. This longer than usual lecture covers more sites and countries than the conference lectures below. This link is to my Nepal page which has my other explanatory material on current work ongoing in Nepal. 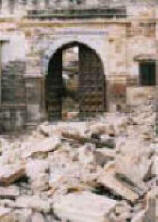 Masonry, Reinforced Concrete and Earthquakes. 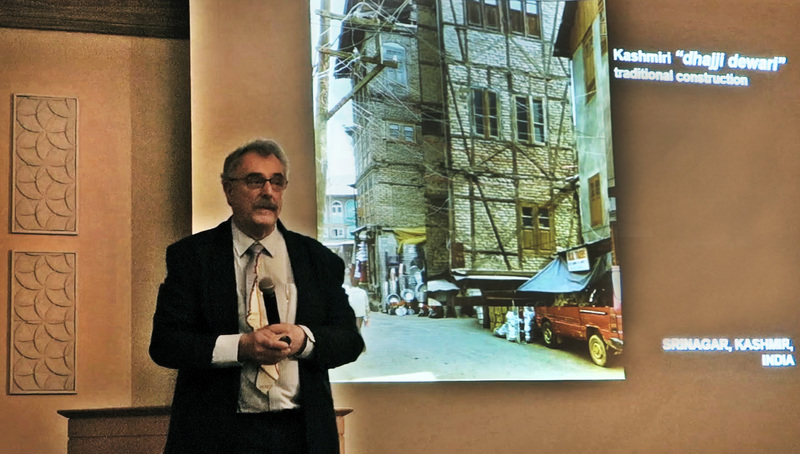 A short 15 minute lecture at the ICOMOS Symposium in Beijing in October 2012 discussing the 2010 Haiti earthquake with comparisons with the 1976 Tangshan earthquake that killed a quarter of a million people. 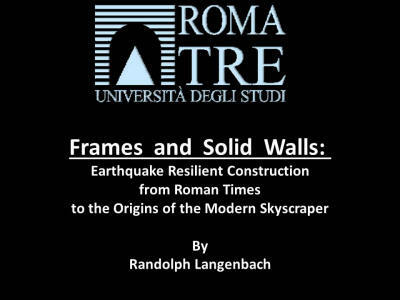 This talk and the paper that is published here with it explains new findings on the comparison between the performance of traditional and modern structures in Haiti and in other earthquakes. India, Pakistan Turkey and Portugal. 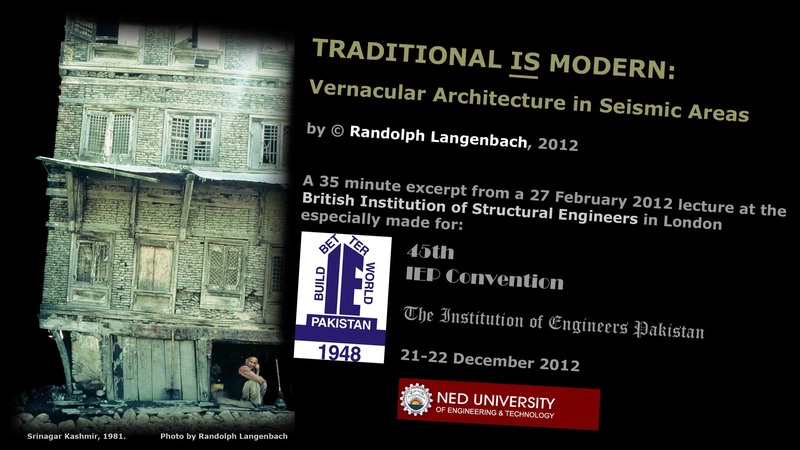 This 35 minute excerpt from a February 2012 Lecture at the Institution of Structural Engineers in London was made into a video presentation so that it could be shown in December 2012 at the New Delhi, India TerraMela Conference and at the Institution of Engineers, Pakistan Conference in Karachi, Pakistan, 4 days apart. 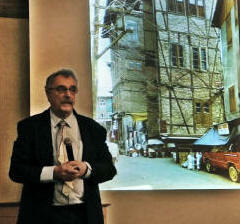 Online video of Randolph Langenbach's lecture at the World Bank Cultural Heritage Thematic Group, Washington DC, December 6, 2011. 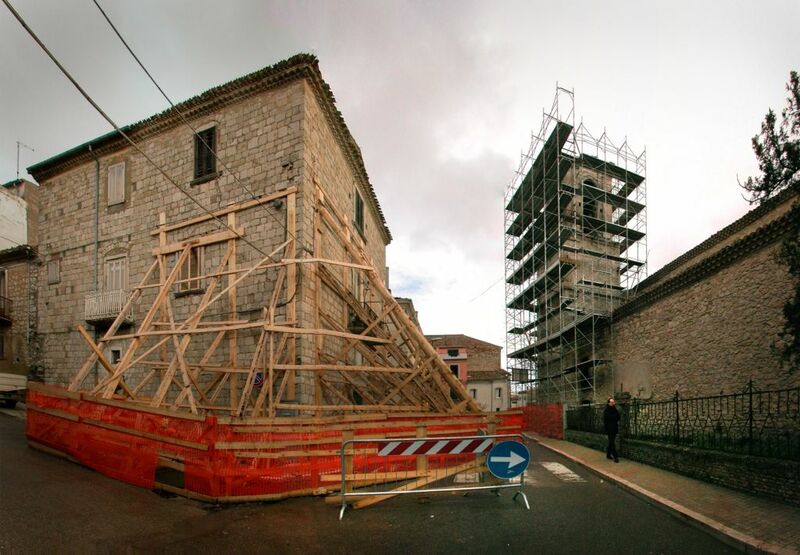 Katcha is Pucca & Pucca is Katcha: How an Ancient Technology can hold the key to Preventing the Earthquake-Collapse of Modern RC Buildings. 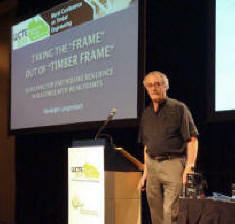 Click "Presentation" to see lecture video once you enter the World Bank webpage. 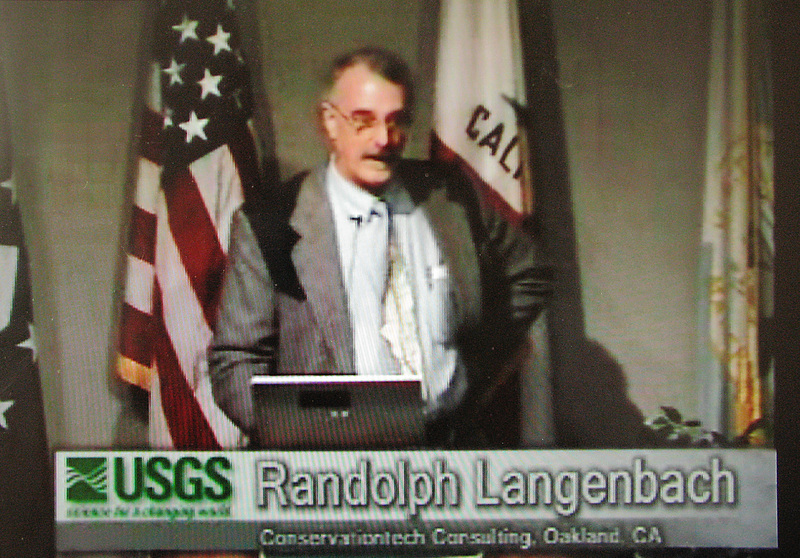 Randolph Langenbach's lecture at the US Geological Survey in Menlo Park, California, November 19, 2008. 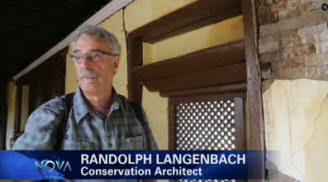 Langenbach quoted in 2018 CNN News Story about reinforced concrete construction. Concrete is a disaster for our planet: can the building industry break its addiction? 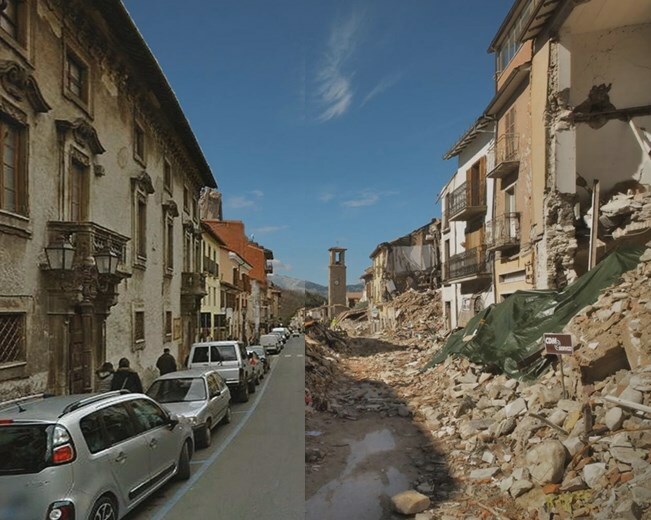 A 1.5 minute video showing the historic center of Amatrice before and after the earthquake. 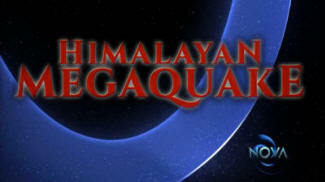 BOOK Published in 2009 by UNESCO in India and republished in the USA and Europe by Oinfroin Media. 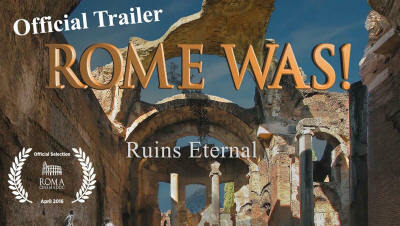 Now available world-wide. 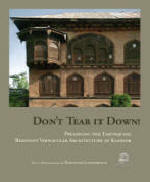 Preserving the Earthquake Resistant Vernacular Architecture of Kashmir. 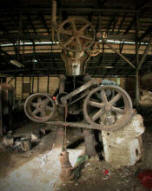 Soft cover book with 150 pages of text and over 200 photographs. CLICK HERE for a link to a FREE download the 80 page book as a PDF. 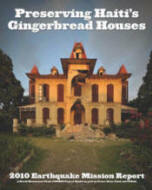 (1) Magazine and news media articles on the Gingerbread Project. 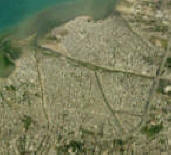 (2) The maps and information on the "Desktop Reconnaissance" using high-resolution oblique aerial photography donated to ICOMOS by PICTOMETRY INTERNATIONAL CORPORATION. 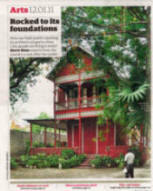 Puerto Plata to become an Arts Center. 2004 �Soil Dynamics and the Earthquake Destruction of the Arg-e Bam,� Iranian Journal of Seismology and Earthquake Engineering, Tehran, Iran.